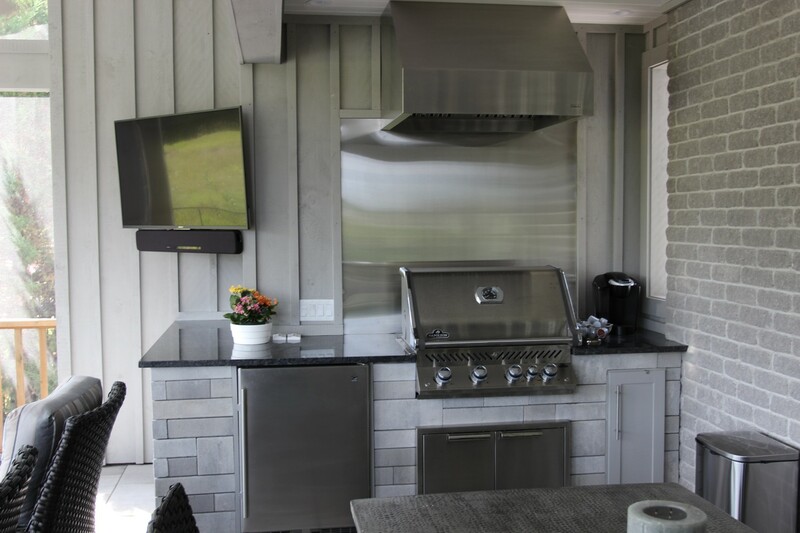 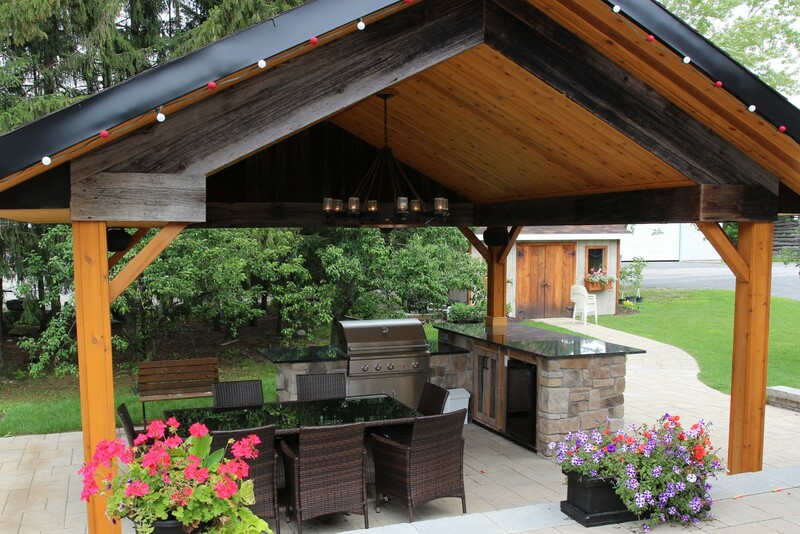 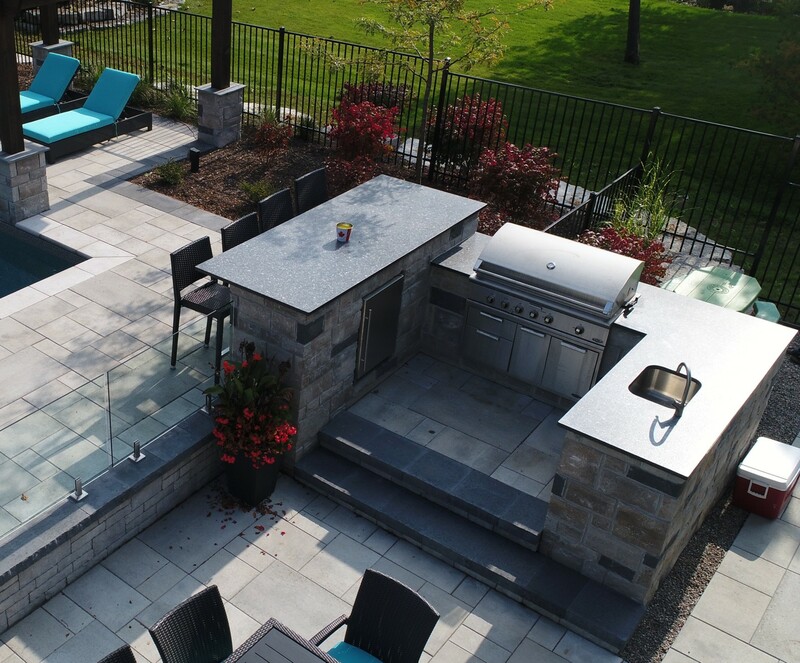 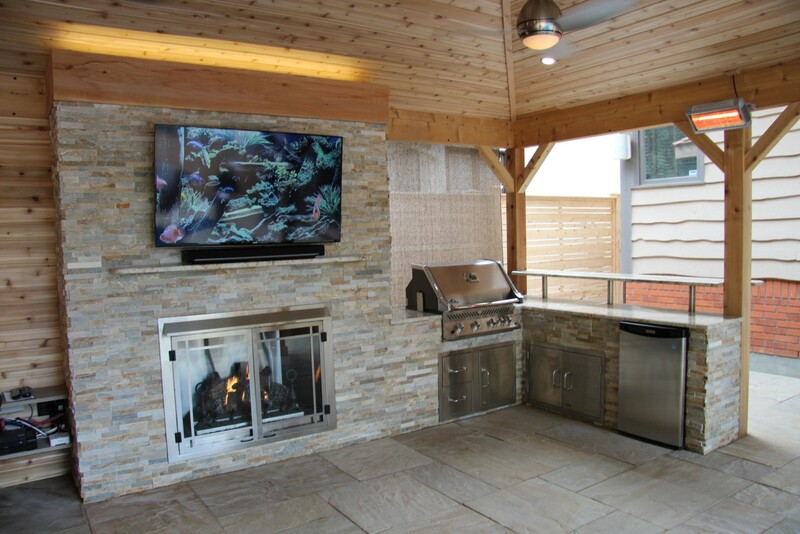 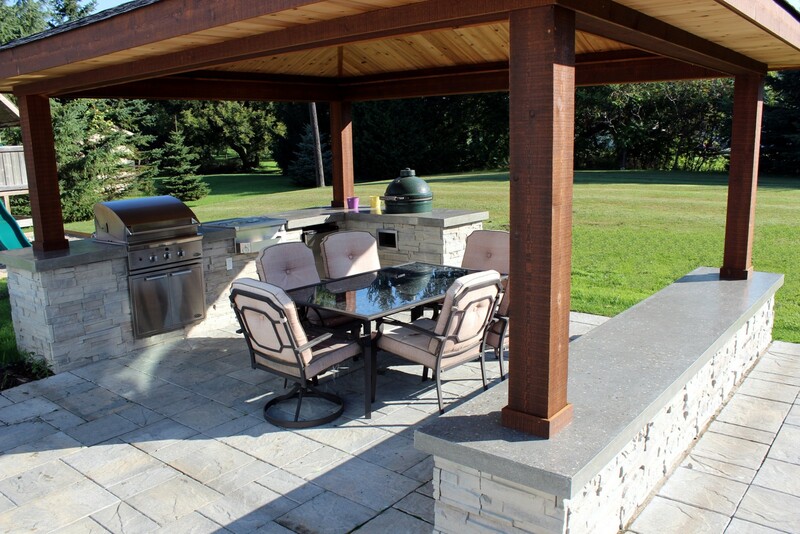 Expand your living space by adding an outdoor kitchen and socialize with your family and guest while dinner is being prepared. 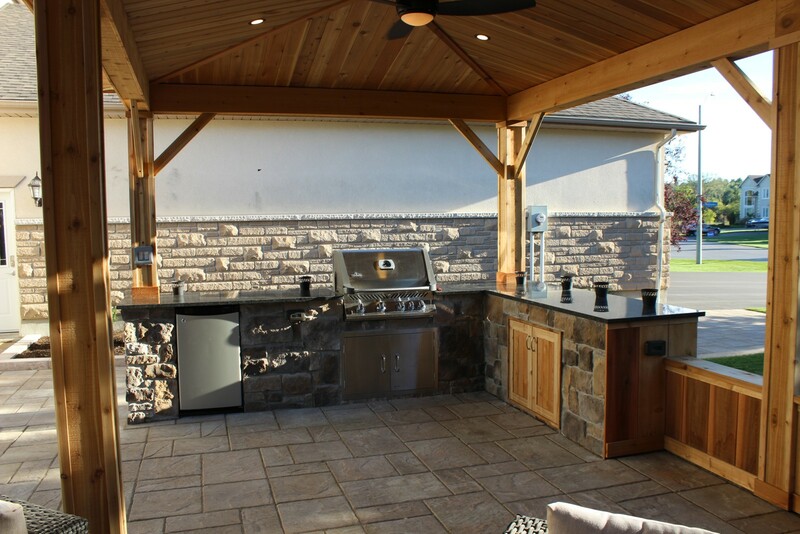 Constructed from mortared brick with polished cement counter top. 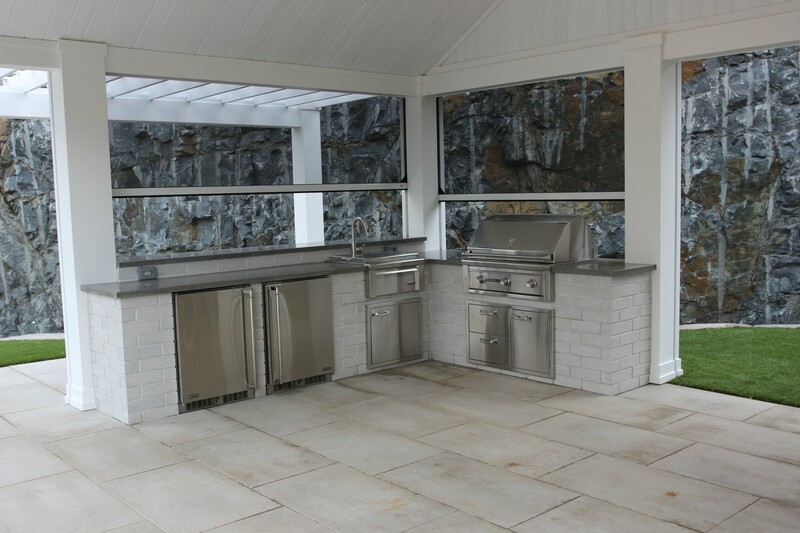 Retreat enclosed with retractable screens. 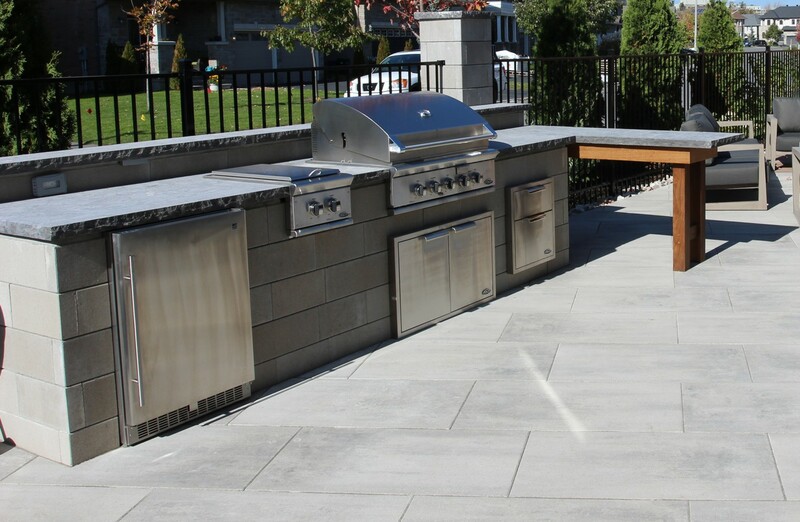 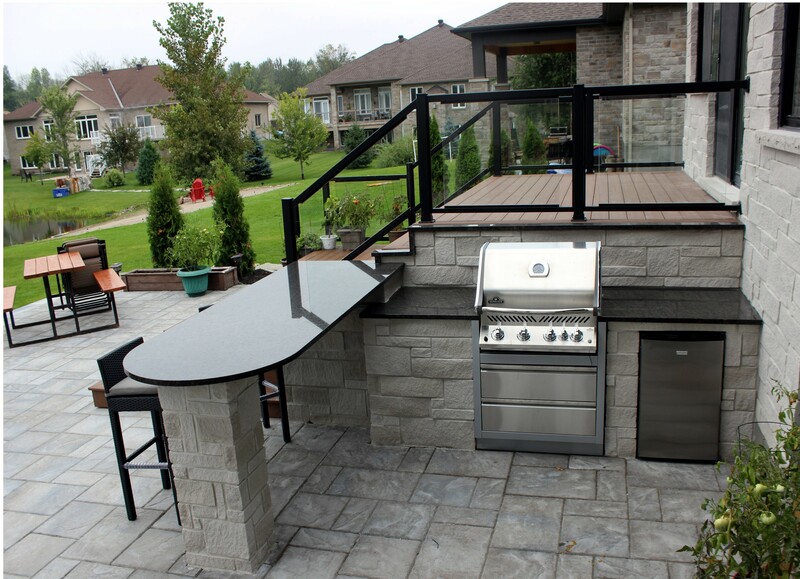 L shaped kitchen and sitting wall constructed from Permacon Esplanade stone with polished cement counter tops.